TRITON BREWING EVENTS - American Craft Beer Week & Beyond! 2-6pm Upland Sour Fest at City Market (222 E. Market Street, 46202) join Brewer Mike and Brewer Dain from Triton will have a couple sour beers to share! 10am-2pm Eggfest at Chef JJ’s (1040 Broad Ripple Avenue, 46220) Brewer Jon will be grilling and Chef JJ will be selling pints! Checkwww.chefjjs.com for more information. You want fresh Lift Off IPA cans, we have fresh Lift Off IPA cans! Check our latest update on where we delivered brewery fresh cans to +80 locations in the last week. We are hosting a party at the track, the 2.5 mile oval one in Speedway, Indiana. 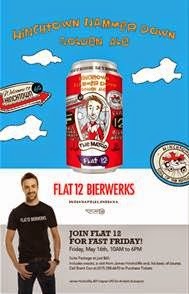 The party will feature driver James Hinchcliffe and his beer, Hinchtown Hammer Down Ale and will take place on Fast Friday, May 16th, at a hospitality suite along the track’s main straightaway. Yep, here is your chance to meet Hinch! You know, the driver for Indycar United Fiber & Data entry for Andretti Autosport. For just $60, suite ticketholders are invited to spend a day at the track watching the fastest day of practice, the day before qualifications begin. For info on purchasing tickets click here. Where can you get Hinchtown Hammer Down? It’s Race Month here in Indianapolis and everyone is wanting to know where you can purchase Hinchtown Hammer Down. The easy answer is the brewery – both cans, bottles and on draft. Most package stores and many groceries in central Indiana are also now carrying it in bottle. The longer answer is here – a complete list of places where it currently available. Our taproom is more than just a place to congregate with friends for a beer. With the help of many, it is now a place you can gather with your friends to watch local film screenings in our monthly series Reel-to-Reel. It is also a meeting place for fellow runners/walkers who want to go for a quick jog downtown with the folks from BlueMile. And most recently, the Taproom is also a comedy house (of sorts) where Rocketship Comedy and other well-known comedians come and perform. All three series are coming up too! For additional information about these series click here. On this week’s comedy show click here. On the weekly BlueMile/Flat 12 run click here. On this month’s Reel-to-Reel click here. · Indy Eleven’s next home match is this Saturday (5/17) against the Ottawa Furry FC. Join us in packing the Mike once again and cheering our NASL team to victory! Additional info including link to purchase tickets is here. 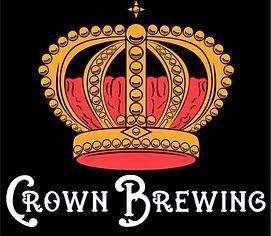 · Crown Brewing is hosting the 5th Annual Crown Beer Fest this Saturday (5/17) at the Lake County Fairgrounds in Crown Point, Indiana. We’ll be in attendance as well as over 30 other craft breweries. Get your tickets here. 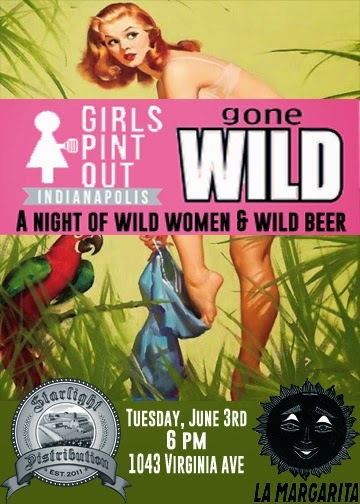 · Upland’s Sour Wild and Funk Fest is also this Saturday (5/17) at City Market in Indianapolis. Click here to see what we are taking with us, plus a link to purchase your tickets. New Albanian beer will be featured at the River Roots Festival in Madison, IN on May 16th and 17th. Check out this link for more info on the beer line-up: NABC at River Roots. We have two fun events scheduled this weekend around a special visit to Indianapolis by Local Option's own Noah Hopkins. Friday, May 16th from 5:30pm to 7:00pm we will be pouring samples of Local Options bottles at Kahn's on Keystone. Stop by and meet Noah and try some samples! Saturday, May 17th after the Upland Funk+Wild+Sour Fest we will be hanging out with Noah at 20 Tap on College after 6pm and Local Option's Dampfbier, Blood ov Kings, and Kentucky Common will all be available on tap. This year's festival will take place Saturday, May 17th from 2pm-6pm at the historic Indianapolis City Market, preceded by a VIP Sour lecture and private tasting from 12:30-1:30pm, and with a Secret Barrel Society members-only party to follow in the building's catacombs from 7pm-9pm. For more information on our Secret Barrel Society, check out secretbarrelsociety.com VIP tickets can be purchased for $75, and will include VIP lecture, lanyard, commemorative T-shirt, swag bag and access to the VIP lounge including food and private bathrooms.